Which still do we recommend? 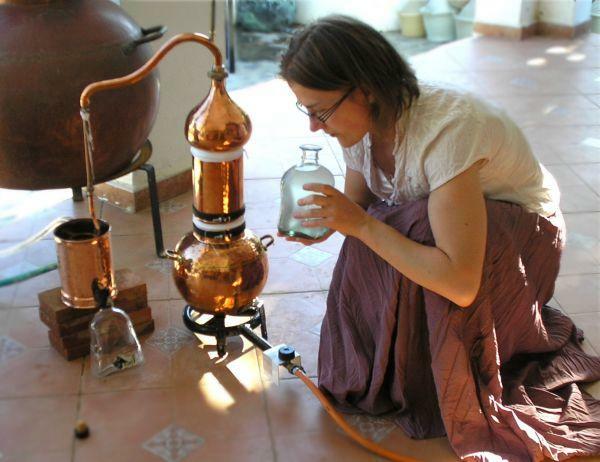 For small amounts of hydrosols and essential oils, the Alquitara still is most helpful and we also distill regularly with it in our museum in Germany. Large amounts require a different model, such as the column still that comes with a generous column piece with integrated sieve. You will also find traditional Alembics for the distillation of rose blossoms, which are added directly into the water of the still boiler. And, last but not least, our Arabias and table-top stills. These small hobby stills are top-selling and come in handy when distilling outdoors. Have a look and browse through our categories. For more information, feel free to contact us directly.